Here we present an allelic discrimination assay designed to distinguish European wildcat mtDNA lineages from those of the domestic cat. Introgression between the native wildcat and introduced domestic cat has the potential to limit and reduce the recent recovery of remnant populations. 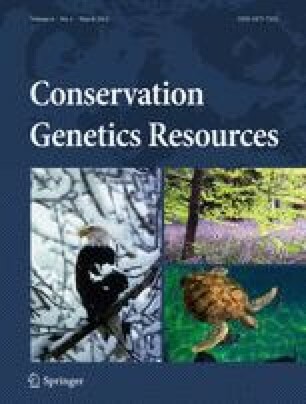 Applied conservation genetic techniques can aid current conservation decisions on lethal control and neutering measures in hybrid zones. This real-time PCR technique offers a rapid, inexpensive and reliable assay to assess mtDNA introgression in the wild and has already identified hybrid individuals in the Scottish wildcat captive breeding programme. The authors are grateful to Neville Buck, Douglas Richardson, David Hetherington, Steve Piper and Rob Ogden. The work was funded by the Royal Zoological Society of Scotland.